The ideal portable companion, the world-renowned Collins Gem series returns with a fresh new look and updated material. This is the perfect pocket guide for nature and foraging enthusiasts keen to identify the most commonly found mushrooms and toadstools in Britain and northern Europe. 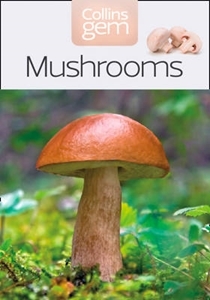 Authoritative text, beautiful photographs and detailed illustrations show the distinguishing features of each mushroom and toadstool, including details of size, habitat and when it can be found, whether it is edible or poisonous and most importantly, which similar species it can be confused with and why. This new edition builds on the strengths of the unrivalled original, now expanded to include over 240 species of mushroom and toadstool.